Our 2 and 3 bedroom cottages are equipped with kitchens and include dishes, utensils, pots & pans, coffeepots, microwave ovens, heat, showers and televisions. Personal items such as towels, soap, and paper products are not furnished and although we provide mattress covers, pillows, blankets and spreads; you will need to bring your own linens. Cable television is included in the price. Our rental week is from Saturday until the following Saturday. Check-In time is 1:00 PM and Check-Out time is 10:00 AM. Weekend or daily rates are only in effect during the months of May, September, and October. 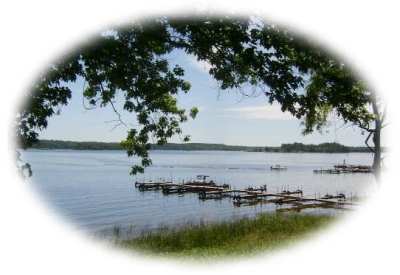 Rental prices range from $525.00 to $630.00 per week depending on the particular cottage and the number of people in your group. Reservations and advanced deposit are required. The lakefront sites are semi shaded and include water/30-amp electric/sewer hook-ups, picnic table and fire ring. These are popular sites and can handle a 32' motor home or 5th wheel comfortably. 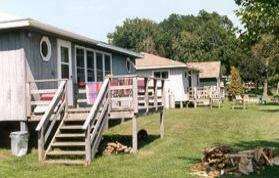 We also have a few full hook-up sites not on the lakefront but in a more private setting, surrounded by a cedar hedge. 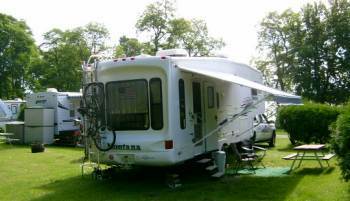 These sites are pull-thru and a little larger and will hold up to a 32' motor home or 5th wheel. All full hook-up sites offer 30-amp electrical service. Cable TV is available on full hook-up sites. 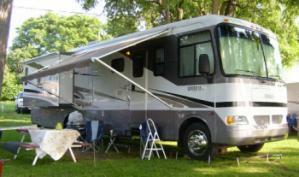 Additional charge of $4.00 per day for RVs with air conditioning. 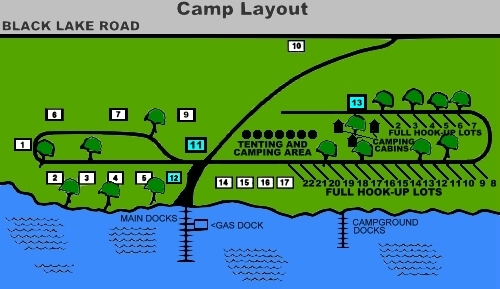 The water & electricity campsites offer only limited shade but are roomy and also include a picnic table, fire ring, and 20-amp electric service. 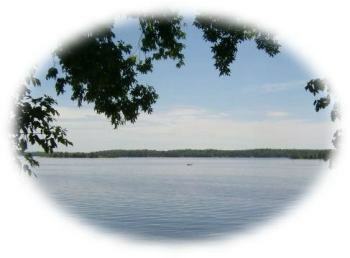 This area is not directly on the waterfront but only a short distance away. 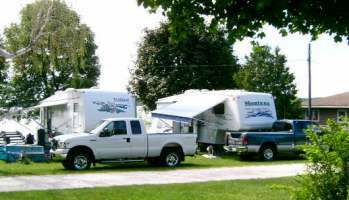 Campsite/RV Sites prices range for basic of $29.00 up to $50.00 per night. Weekly rates vary from $160.00 to $225.00. Reservations are recommended. These one-room miniature log cabins will keep you dry and the dampness out while still offering the uniqueness of campin' out. They're furnished only with one double bed and one set of bunks, an electric light, and a smoke alarm. 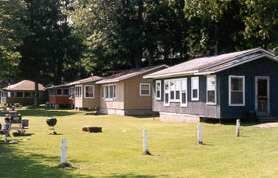 You'll need to bring camping and cooking gear, and use the restroom/shower building just a short distance away. 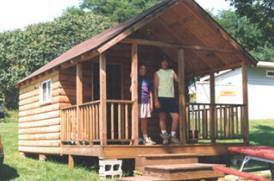 Our four camping cabins are very popular with weekenders and campers who either don't own a tent or just don't want to lug one along. 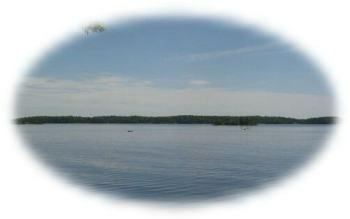 Prices Range from $55.00 to $65.00 per night or $250.00 to $300.00 per week. Reservations are recommended.